The LOBO FUN RUN is a different event than a classic 5K as in past years. This year our students participated in the FUN RUN at the school during the school day on Friday, October 12. Local businesses that support quality education sponsored our event, students raised their own money through pledges (and received prizes), and the entire school, including teachers and staff participated in a morning of FUN to celebrate it all! We raised over $19,000 this year! We also kept our expenses low so we net a little over $17,500 for our students and teachers!! 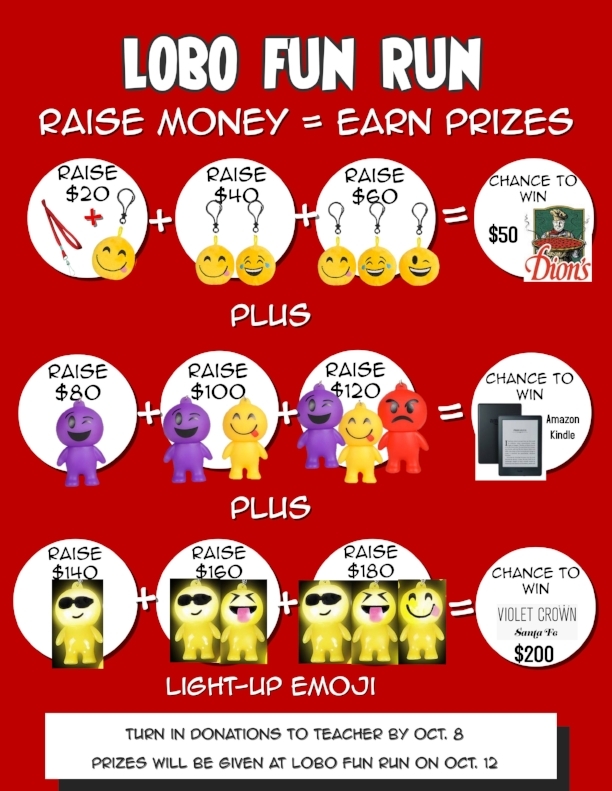 The classes that raised over $1,000 each will receive a PIZZA PARTY!! Congratulations to Ms. Perea, Ms. Corral, Ms. Serna, and Ms. Gaillour’s classes for earning a pizza party. PTA will buy pizza for these classes. The LOBO FUN RUN is our largest event of the school year, and your donation helps our students reach their academic goals while being active and healthy. Thank you to everyone who participated and volunteered for the Lobos River Run for Education on October 1, 2017. We are especially thankful to our sponsors for supporting education at our school. Please visit our sponsors and thank them for supporting our teachers, students, and parents. The Lobos River Run for Education is our largest annual fundraiser. Monies raised from our sponsors and runners enable our school to eliminate financial barriers to learning experiences that may not otherwise be available to our economically diverse community of students. Please support our 2016 Lobos River Run for Education sponsors and thank them for supporting education. - Basic classroom supplies (teacher funds) that are not provided by tax dollars. - Financial assistance for our students to participate in National Dance Institute. - Educational field trips and enriching educational projects, neither of which are provided by tax dollars. Our annual Run for Education is a meaningful community event that promotes wellness while providing local businesses an opportunity to engage with the Santa Fe community and support a worthy cause – helping educate your community. We anticipate more than 500 participants, which will provide multiple opportunities for exposure to the local community. - Booth at the run with the opportunity to sell items and distribute brochures. - Company logo on posters, flyers, advertisements, GCS website, banners, and race t-shirts. - Banners and t-shirts will be displayed and worn during the annual Pet Parade at the Santa Fe Fiesta, at the run, and throughout the school year. - Exhibit your support and appreciation for quality education in your community. - Ability to market to GCS families throughout the year with Gold Level Sponsorship. We need your sponsorship to make this fun, family and community event a success. The GCS PTAis a 501(c)(3) charitable organization. Your sponsorship is also tax-deductible! 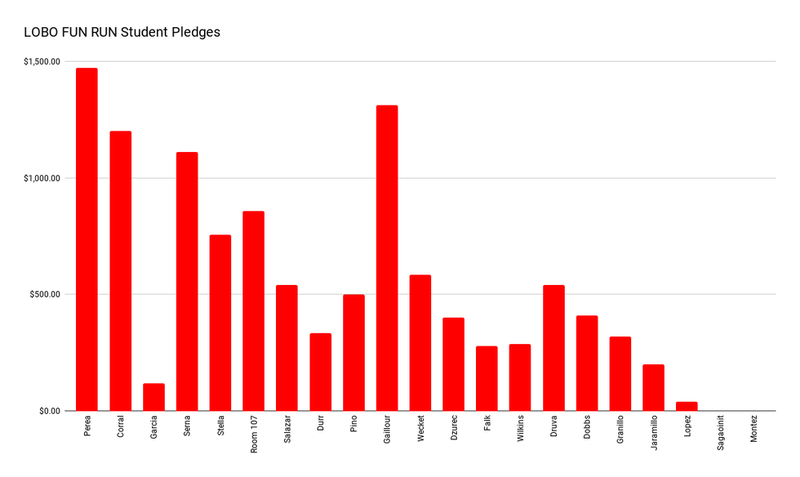 Thank you for your contribution and for being part of this event! 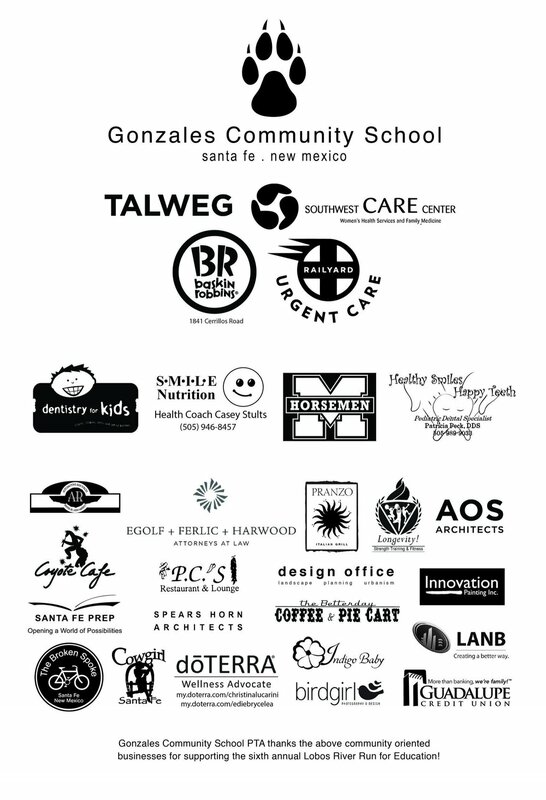 Interested in becoming a sponsor and supporting education at Gonzales Community School? Please contact us at gonzalespta@gmail.com or download the 2016 Sponsorship Form. Ready to do your part by volunteering for the Lobos River Run? Please sign-up to volunteer on our website. Gonzales Community School PTA is pleased to receive $1,000 from The Allstate Foundation in honor of Allstate Agent Tina Quezada Jacobs's volunteerism. We are pleased to partner with Allstate and their commitment to making our hometowns better, safer places to live.